Back in the day, I had a bit of a ritual to getting ready for a night out on the town. I would put on some catchy music, dance around my bedroom and try on every piece of clothing in sight. 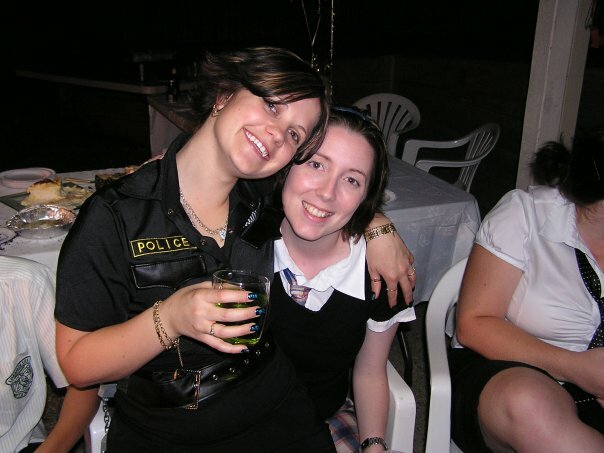 My housemate Nicole and I would model potential outfits for each other to help make up our minds. After deciding on what I was to wear, I would survey my bedroom. Every inch of the bed was covered in clothes and accessories. It looked as though my closet had projectile vomited everywhere. 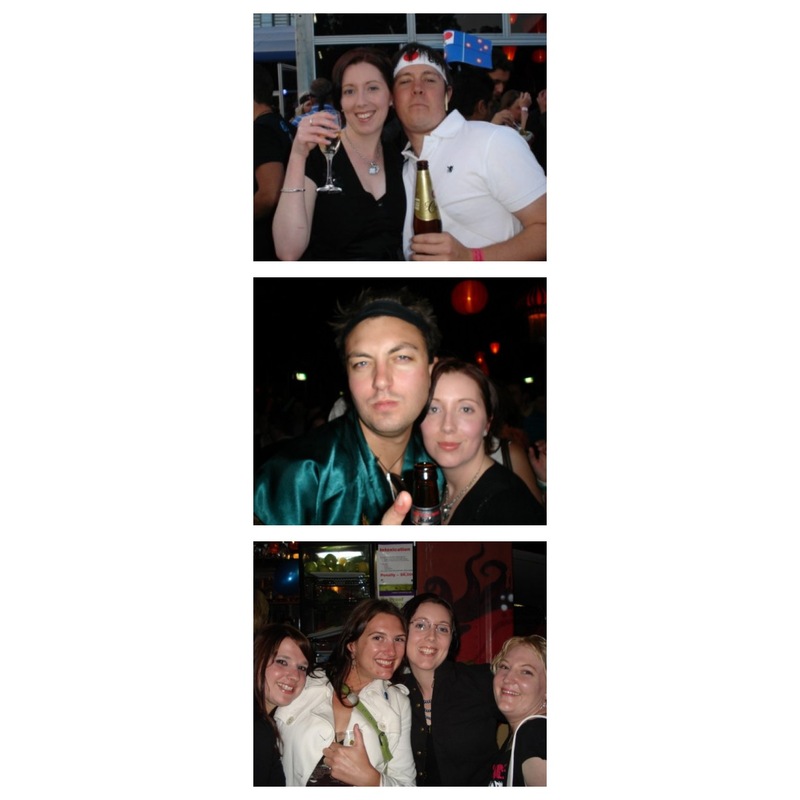 Flashback to Australia day 2007… I was living in Melbourne at the time and was a dedicated party girl. 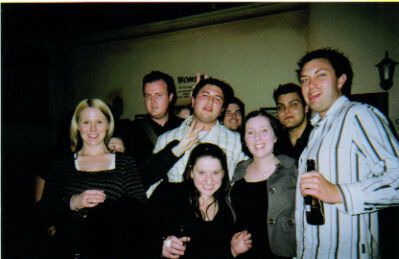 On this particular occasion, I was at a local pub with my crew and the drinks were free-flowing. I was drinking and dancing with my friends and having the time of my life. John Farnham’s song Your The Voice came on the sound system and I knew immediately what I must do. I climbed onto a low platform/stage and belted out the words. I was on fire! I had never EVER sounded better. I was incredible! I spun around in my navy stilettos and then SPLAT. I fell off the platform onto the floor. Show over people. Show over. Ouch. I woke up the next day, fully dressed (even wearing my shoes!) on top of my bed. The clothes and shoes that had previously covered the bed had been unceremoniously swept to the floor. Needless to say, I spent the remainder of the weekend nursing a wicked and persistent hangover. As was our tradition, Nic and I ordered pizzas and sat on the couch watching episodes of The OC with the curtains shut. Countless promises were made to never drink again. You know the ones I mean. I kept those promises for a couple of weeks and then went back to being a party girl again. 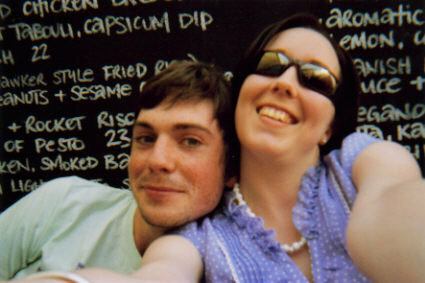 Oh, 25 year old me was a hoot! Flash forward to the present day… Almost 33 year old me is currently suffering from a hangover. It’s the first one I’ve had in a couple of years. 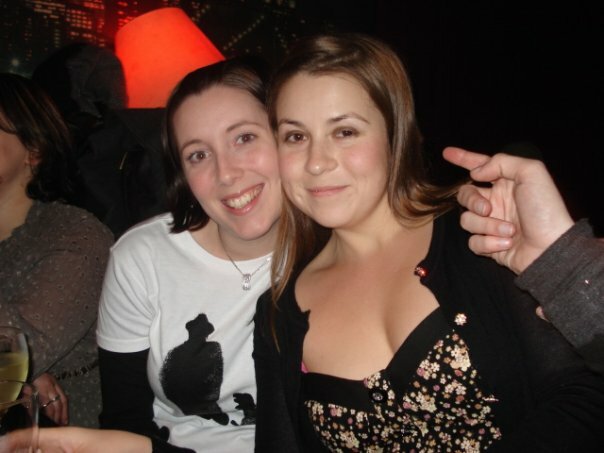 I went out with my girlfriends on Friday night for drinks and tapas. I was in dire need of some adult company (sorry Aaron!) where the conversation did not revolve solely around Ollie and his eating or toilet habits (not sorry!). I started planning my outfit about an hour before I was due to arrive at the bar. The process of getting ready these days is the polar opposite to how it used to be. Thankfully, Aaron was home from work and was occupying Ollie in the living room. A rare treat for me at this time of the day! Instead of having dozens of options of things to wear, the choices at present are narrowed drastically by what’s clean and what might fit. I grabbed a cute grey dress out of the cupboard and held it up against myself. The possibility of greasy or dirty little hands leaving marks on the light coloured silk fabric was too much of a risk. Plus, wearing the dress meant making a trip to the dry cleaner sometime in the future. Why do I still own things that are dry clean only? Option 1 was cast aside. Next, I grabbed my dark denim jeans. The benefit of these is that they don’t need to be ironed (thanks skinny jeans) and as with all denim, they can usually be worn for a while without having to be washed. I held up the jeans and wondered when they had last been washed. I gave them an audible sniff and decided that there was nothing too offensive going on. Jeans were decided on. What the heck was I going to wear on the top? I could think of two shirts that *may* fit me at this point. I dug through the closet until I came across the first one. It was a little on the tight side so I cast it aside immediately. Ain’t nobody got time for that. I managed to locate the other top after running from room to room searching every washing basket or cupboard and drawer along the way. I found it amongst Ollie’s clean clothes in his room. Who knows why it was there. At this point the time to meet my girlfriends had come and gone. I threw on my outfit (the only things that were semi clean and actually fit me!) and left the house. When I arrived at the bar, I was greeted by my lovely ladies. We drank champagne, ate delicious food and laughed so hard that we all had stomach aches. This was exactly what I needed! The first glass of champagne went straight to my head and I kept saying over and over how excited I was to be out and about. I was mindful not to get too crazy with the champers because of how long it had been between drinks for me (literally!). In total, I consumed maybe 4 drinks over the next 4 or 5 hours (oh yeah, I went nuts!). When I arrived home, I drank a big glass of water and promptly put myself to bed. Ollie woke up during the night at around 1am. Aaron tended to him (Oh I love that man!) and urged me to go back to sleep. When my sweet little boy woke up again at 5am, I sat up quickly and was immediately met with a pounding in my head. Ouch. Thankfully, after a nappy change and bottle (thanks Aaron!) he went back to sleep until 7.45am (the longest he has ever slept in!). He must have known that mummy needed a tad more sleep after her brief cameo as a 2015 party girl. I spent the remainder of the day feeling very much less than fresh. I had all the usual hangover symptoms including but not limited to a persistent headache coupled with an upset stomach and an overall sluggishness. I even managed to have a brief afternoon nap when Ollie went down for his. I was in bed by around 8.30 and fell asleep as soon as my head hit the pillow. Not that I needed a reminder of how different my life is these days, but I think that this experience sums it up perfectly. I think it’s safe to say that I’ve well and truly abandoned my post as a full-time party girl, but am more than happy to make the odd guest appearance from time to time… That is when this hangover finally wears off. Previous Post Lesson #17 -Struggling or asking for help don’t make you a bad mother. They make you human. Next Post Episode #19 – How I (finally) learnt my most important lesson. I love this post. You’ve summed up my lifestyle pre-kids very well. I still miss it but can honestly say that it’s not the right thing for me now. That’s not to say that I enjoy having absolutely no social life but I’m going to have to find a happy medium.